Have you been searching for a specialist company to install a towbar onto your vehicle? Only interested in top-of-the-range products? Then you’re in luck, as The Towbar Company can provide an excellent towbar Bournemouth customers will love. We’re always looking to extend our services to as many people as possible, so get in touch today to find out how we can help. Give us a call on 07778 343 464 to speak to a member of our team. Here at The Towbar Company, we are proud to deliver a unique service in which we will provide you with a high-quality towbar. Bournemouth customers can be assured of our experience and expertise in this trade thanks to our 25 years of service. You honestly won’t find a company better equipped to fit towbars in the whole of Dorset. 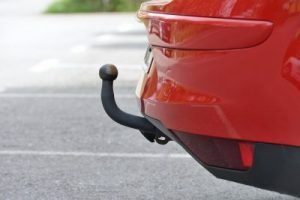 Owning a towbar in Bournemouth can prove to be incredibly useful for vehicle owners. Having this product increases the versatility of your car and allows you to carry heavier loads with it. A strong towbar also means that you don’t have to drive a particularly large vehicle to tow along something as cumbersome as a caravan. Overall, the product your options and boosts your car’s capabilities. Our experienced staff are always available to advise our customers on their Bournemouth towbar should they require it. We want to pass on our specialist knowledge to as many customers as possible. Therefore, we make it our goal to not only install long-lasting towbars but to inform our customers on how to use them appropriately. All of these products come together and allow us to provide an exceptional Bournemouth towbar fitting service. It has always been essential for us to offer our customers a variety of services so that we can cater to all their towbar needs. Therefore, we have made sure to expand our skill set to accommodate all our clients’ requirements. Our products are all top-of-the-range and come from reliable manufacturers such as Witter and Brink. By only supplying towbars of premium quality, we guarantee our customers satisfaction with what is sure to be a useful addition to your vehicle. It is these exceptional products that mean we can install a high-quality towbar Bournemouth customers will love. We always strive to exceed our customers’ expectations and, therefore, always put their needs first. Our staff consult with our clients to decide on the best option for them and then provide as quick and efficient a service as possible. It is because of this excellent customer service that many choose to install their towbar in Bournemouth with us at The Towbar Company. It is a great point of pride for us at The Towbar Company that we have received so many positive testimonials from our customers. All of these are available to view on our website and they outline our company’s strengths, with specific regard to product durability and the courtesy of our staff. To receive such positive feedback is very pleasing for us and is further evidence that we are number one place for a towbar Bournemouth has available. So why not get in touch with The Towbar Company today? Don’t forget we offer the highest quality of towbar Bournemouth customers have available. We’d love to help you with your towbar needs so contact us to speak to a friendly member of our team. If you’d like more information on our exceptional services, be sure to call on 07778 343 464 now.